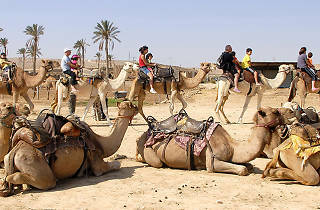 A Bedouin experience ideal for a unique desert getaway. Khan Hashayarot offers a Bedouin-esque desert experience. 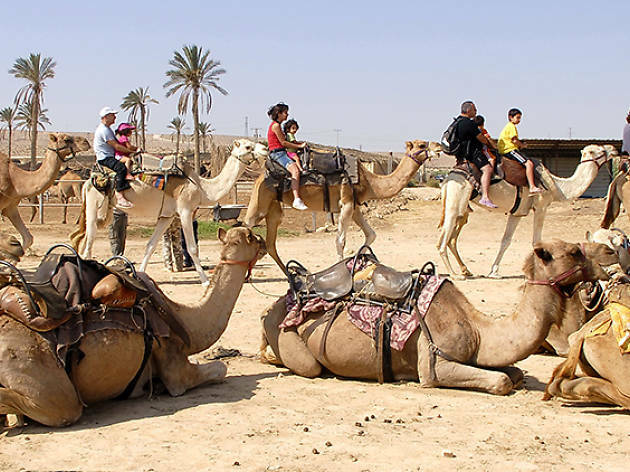 Here you will find all the activities associated with a Bedouin stay, including camel rides, dinner eaten on cushions, bonfires, an introduction to the Bedouin life, storytelling, and tent sleeping. In addition, modern luxuries such as bathrooms with showers, outlets to charge phones, and breakfast is provided. For those looking for a more luxurious stay, guest rooms are also available instead of tent lodging. Located between Sde Boker and Mizpe Ramon, it is located far enough away from town to provide a magnificent view of the stars in the desert sky.